A Camp Pendleton Marine who fatally beat his 7-month-old son pleaded guilty Tuesday to second-degree murder. 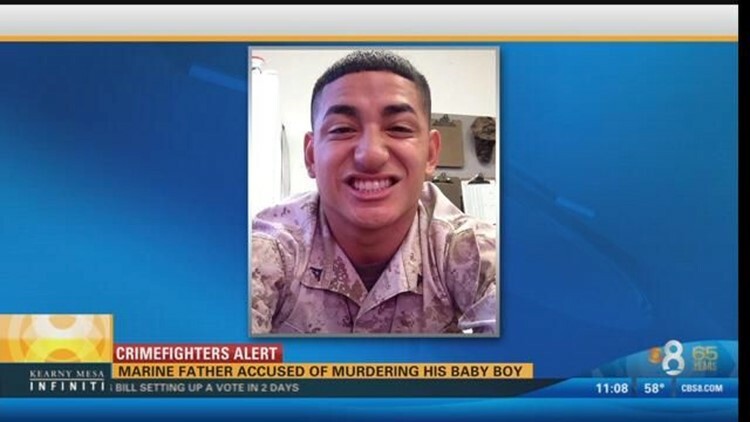 VISTA (CNS) - A Camp Pendleton Marine who fatally beat his 7-month-old son pleaded guilty Tuesday to second-degree murder. Stanford Morocho, 23, will be sentenced to 15 years to life in prison on May 4. Deputy District Attorney Ryan Saunders said at an earlier hearing that Morocho shared custody of his son, Emilio, with the child's mother, with whom the defendant no longer had a relationship. Morocho took physical custody of the baby on Dec. 2, 2014, and by the morning of Dec. 12, the child was dead, according to the prosecutor. During that time frame, the defendant inflicted various forms of abuse on the baby, Saunders said. Emilio suffered significant bruising on his body and face, a skull fracture, rib fractures and internal bleeding, according to the prosecutor. During an interview with Oceanside police detectives, Morocho made incriminating statements about the case, according to authorities.